Reviewed by William Edwards at the Santa Barbara Film Festival 2109. I found this movie both delightful and inventive. You can definitely refer to it as a “dark comedy” since it navigates a very taboo subject: suicide. That inevitably invites the social requirement: if you our a loved one has attempted or even gone through with a suicide, this type of movie may not be your cup of tea and may even come across as distasteful. However, if these initial conditions are overcome, in my view, it is a very well-thought our and polished comedy. For one thing, it’s one of the rare movies that shows a relationship between a person and their undertaker and this emerges from the general story: a 35 year old woman appears to be going nowhere with her life, so she decides that the solution to her problem is suicide. And all sorts of humorous situations occur including a wacky relationship with a rather…well, wacky undertaker, her undertaker who she has enlisted to handle her suicide which she has meticulously organized. Also, included in this narrative are Shakespearean misunderstandings and other plot devices which moves the plot along in very interesting directions that make it very entertaining. Of course, since this is a comedy, the plot could not very well take the narrative to it’s logical conclusion – an actual suicide – which would inevitably convert it into a tragedy – which the viewerw would intuitively realize – nevertheless, this movie has underpinnings which I believe are something of the nature of the “philosophical”. Without giving too much of the narrative away, the whole exercise of taking a life has very much to do with how we “make a life” and the movie does address these rather fundamental, philosophical questions. After all, Emma, at least during the start of the movie does not appear at first blush to be living the life of derelict or even degradation. She has a job, she has a family, she has friends and she has a nice apartment. So, that begs the question: why is she attempting suicide? And that’s actually the Journey of the movie. What she actually finds out is that life is not about what is given but what you make of it. And that’s very much what we see right from the get-go: Emma has a bad attitude. In fact, I found myself not liking her because of this and I realized that was the whole point and that’s why the actress Monica Chokri does such a good job here. Some comes across as something of the order of unattractive, even though she is physically attractive. And consider this: an unattractive personality is often having trouble with existence – that’s why they’re complaining, criticizing and bitching…or just doesn’t care. 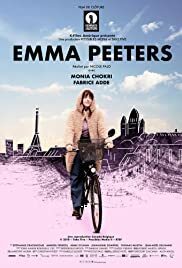 And what Emma Peeters learns is not that it’s a “Wonderful life” but that we have the potential to “make something of our life” which in my view, is what life’s really about. So, in this case, what we start out with is something of a dingy comedy, but ends up to be something more profound; even much like Groundhog Day. We can change things – through our attitude and intention adjustment – and make something rich out of something sour. And perhaps that’s why the writer started with a taboo and dramatic subject: a suicide, because after all, the viewer will realize that her decision to live has something to do with how she “handled life”. Nice analysis of the film, I really got a feel for the direction the movie takes and you do a very thorough job of explaining the possible reasons behind the chosen theme. Thank you William for the great analysis of the film! I agree that this dark comedy does tackle a very taboo subject: suicide. In the very least, not only is this subject (generally very taboo in most cultures) strongly discussed in this film but also is the idea of assisted suicide. Assisted suicide is a very disputed topic that is especially controversial in our day and age within the United States. Is it wrong to fulfill a terminally-ill patient/person a request of ending their life to end their suffering? The answer is varied and generally not agreed upon. Through this film, I felt that this issue was touched upon briefly–even though it was used to furthermore guide the plot along in the film, I wonder if it was necessary to have the funeral director, Alex, play the role of providing Emma the pills (though placebo’s) needed to end her life. It’s a very interesting yet touchy approach on narrative–and something that I didn’t expect to see in this dark comedy on a Sunday evening. That being said, a theme that I felt that was very present in this film was the idea of “not taking things for granted”. Definitely after watching this film, I did realize that it is the most simplest things that we can learn to be more grateful of (family, friends, the support from peers); and that the grass isn’t always greener on the other side. A positive perspective and clear conscience can carry you on through the darkest of days to the brightest of ones.